“Willis Machinery” offers the RTM series CNC bed mills with a rigid head design utilizing a cartridge type spindle, achieving up to 8,000 RPM spindle speed with its CAT40 taper spindle. These heavy-duty, cast iron framed machines are equipped with wide box ways, hardened and ground with “Turcite”, much like the Willis BTM series CNC bed Mills. 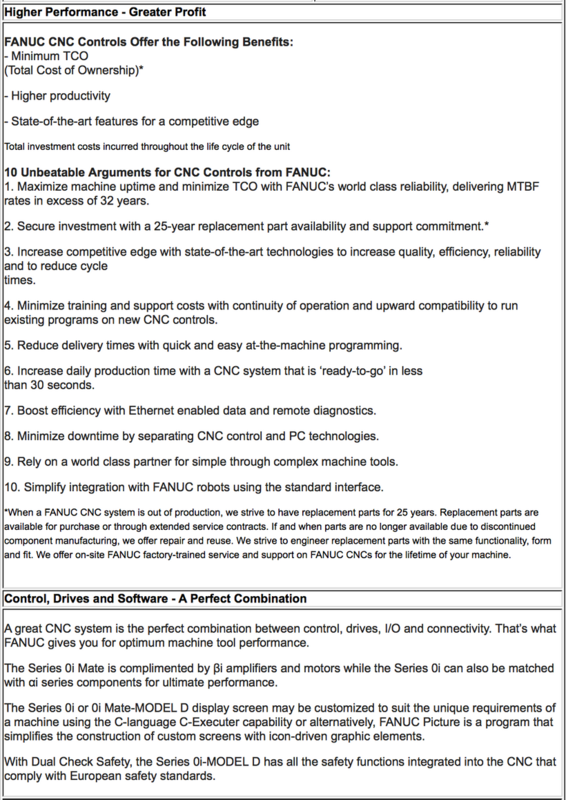 "Fanuc" Oi-MD CNC Controls, all "Fanuc" digital AC control and drives are provided on Willis RTM series CNC bed mills. 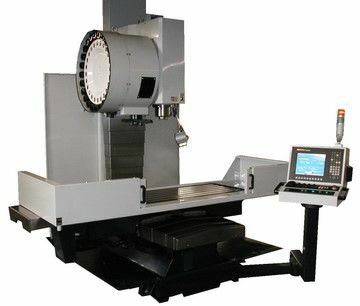 These CNC mills also include a 20 Tool automatic tool changer (ATC). A Chip/Coolant pan is also standard. A 2-Piece Column Mounted Rear Splashguard provides these CNC bed mills with a clean safe workspace. A Halogen Worklight provides a bright workspace for these vertical travel CNC bed mills.. The RTM series bed mills provide a table mounted splashguard. A rigid cartridge type CAT 40 spindle is standard equipment. High quality, heavily ribbed castings help to create a rigid and high quality CNC machine. Hardened and ground box ways w/ "Turcite" allow these CNC bed mills to provide smooth travels during operation. Hardened and Ground Table Surface are also provided on these vertical travel CNC mills. Programmable spindle speeds help provide easy and efficient operations. Auto lube system and flood coolant is standard equipment. Oversize high precision ballscrew is also a provided with these robust, high quality CNC bed mills for sale.